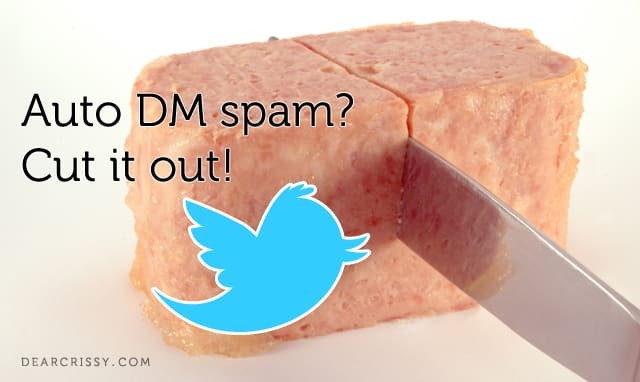 Twitter AutoDM Success? YES It Is Possible! There are people that just have a sixth sense for social media, and it is always a great inspiration to learn from these pioneers. I had the pleasure to see Ramon DeLeon aka #RamonWOW in action at the #M2C2011 Conference in Paris. Ramon is “The Pizza Guy to Know in downtown Chicago!” He is a franchise owner of 6 Domino Pizza places in Chicago, but most importantly, he is a social media pioneer and if you ask me, a genius! The last 2 years I have been traveling quite a lot for work, and although I love being in new and different places the disruptive aspect of traveling is not something I am very fond of. I don’t think I am the only one who feels this way and I see this as a huge opportunity space for both the travel and hospitality industries to make the travelers experience more pleasurable with a little help of some social media magic. Great cases like @KLM Surprise Campaign showcase how social media can delight a traveler’s experience. In 2010 I had the pleasure to speak at a few iStrategy conferences across the world. This was a fruitful and great learning experience as I have met a lot of people from the digital marketing industry with a lot of interesting views on the digital world. I now have the privilege to write for the new iStrategy blog, where I will contribute a blog post every week. So keep an eye out for my ‘Digital Thoughts‘ and ramblings about socialmedia, digital strategy and design at my own little corner on the iStrategy site. I am very curious about your views on Privacy… so feel free to comment! Since early this year I have picked up Tweeting quite a bit, and in a relative short space of time I have gotten to know quite a few inspiring people. People who have an eye for whats hot and whats not. Being it with sharing links to beautiful photography, art, poetry and design. Or teaching me great insights on social media, marketing and business online in general. What they have in common? They are on twitter for all of us! To inspire us, and to share with us their view on the world. This blog post is an ode to 15 tweeps that inspire my tweeting days, and teach me new things everyday. They are good people, with great minds and big hearts. Follow them now and get to know them! Aaron is the GO TO guys for anything on social media. His instinct to connect and grow engagement is astounding, and will trigger any experienced marketeer to think differently about marketing. Who doesn’t know the Bald Hiker? Paul shares loads of great links on Photography, but what makes him real special is his passion for good causes. He rally’s up people to get on amazing journeys with him to help who is in need. Bio: Often found on a mountain or hill enjoying the outdoors. Interested in and will share photography, art, design, geeky and humorous stuff. Will follow back. A creative, passionate and crazy silly dance bombshell. Sharing loads of great design, art and photography links on twitter and on her blog. And proud to say the first tweep I had the pleasure to meet IRL. Boris sniffs out the best of everything and shares it for all of us to enjoy. Always there for a chat on a lazy Sunday and happy to retweet quality links. Terri finds and shares great design must see content. Every link she posts is a joy to watch and read. Very friendly and chatty, unfortunately for me, the timezone makes it rare to have real time talks, but the few we had where a lot of fun! If you love Photography, follow Sheila now! She shares great links to beautiful resources. Nina is out there in a league of her own. This Bellydancing chick shows us the world through her lens and points us to great things to look at. Ellen writes beautiful and sensual stories on her blog! A must read! Bio: Mama 1st! TwitterMission:2B PROActive takepart in Good that is Twitter! REAL & HONEST Tweets laced w/Luv4 PPL! Ken is my Sunday Wake-Up buddy, always there to help me wake up and have a great designer start of the day. He shares great industrial and product design links. Bio: twittering suits talking things off your mind, esp when pple whom might be reading r all strangers..
What can I say… Jessica touched me when she wrote lyrics to my song STill. She writes beautiful poetry which she shares with us through her blog. If you like poetry, she is great at it!! Bio: Poetry is my heart, anchors my soul and documents my journey. Rarely you see such a blogging powerhouse as Richard. He is the man behind the great BitRebels.com blog, and he is so on top of anything design. Bio: Founder of BitRebels.com / Minervity.com – Web/Graphic Designer/Developer. Every link he shares is bang on! Awesome links to what must be seen. Bio: Entrepreneur, Blogger, Photography/Designing/Social Media – Enthusiast. Humorous, Creative & Positive Thinker. Love to be Friend & Gain/Share Anything Awesome! One of the greats of the BitRebels gang, Diana blogs about the curious, the new, the odd, the great. A lovely person with a great passion for doing good. Bio: Graduate of USC, Entrepreneur for over 10 yrs, Writer for BitRebels.com and InkRebels.com, Voice for the Homeless in Atlanta. I’m really into just being happy. Amy is a powerful social media TWomen. Shares insights about doing business with social media and is always happy to connect. Last week I headed down to London to visit the iStrategy event in the Millennium Hotel in Kensington. Over the 2 days many interesting speakers brought their experiences and insights to a group of 250 online professionals. I will not go into the details of each keynote, as Phil Jenkins already posted a great summary on his blog. Instead I want to reflect on the things that where memorable to me and I have started reflecting on after the event, and give you an impression of the event itself through some pictures I took. “People talk to people, not to brands”. This was a theme I heard a few speakers talk about. Brands like Dell are empowering and enabling experts in their organizations to become brand advocates on twitter, and have them engage with people in social media. “You cannot outsource social media” as you need the expert knowledge that is within the people of the organization in order to have a meaningful engagement. Enabler for this is a mind shift within an organization, social media becomes part of employees job profiles and objectives. Brands need to pay utmost attention to employer branding and nurture engaged people to become spokesmen for the brand. Convergence convergence convergence! Everything is coming together and connecting. Products, people, data, touch points and content. The mobile platform is the main driver for this shift and is enabling a greater value for people by bringing everything they care about and need in one interface which they carry with them all the time. We are just at the early beginnings of this new world, and are learning everyday how we can bring true value to people through this new technology. Behavioral transformation seems imminent. Trial and error is the way for brands to experiment and learn with this new phenomenon. What people want & what people need. Both David Henry of Monster and Mark Stuart of CIM touched upon the imperative of understanding people and taking User Centric Design (UCD) as the strategic driver for successful experience design. As this is my mantra I really enjoyed their talks and was glad to hear the success story of Monster. A better “Sales pitch” balance!! Some keynotes just did not land at all, as the majority of the slides where a self promotion and sales pitch. Not delivering any value to the audience. On the twitter feed #istrategy2010 the comments were very critical about this, and a learning to those speakers. Sure speaking at a conference is an opportunity to get leads, but there is no need to be a speaking advert. Bringing meaningful and helpful content and insights will be your best advert! I met loads of great people at the event and the #istrategy2010 tag helped me find them. I highly recommend them so here is the list! If you get a chance to go to one of the upcoming iStrategy events in Syndey, Singapore, San Jose or Amsterdam I highly recommend going! Visit the iStrategy website for more info.